Early Bird Registration for KYD Convention ENDS THIS FRIDAY (APRIL 10)! 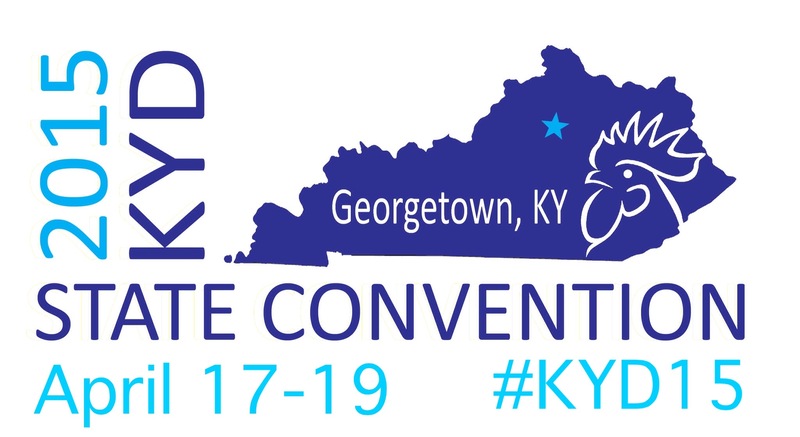 2015 KYD State Convention in Georgetown will soon be here (April 17-19). KYD Convention Registration is Open! The 2015 Kentucky Young Democrats State Convention is just around the corner. Please join us in Georgetown, KY on April 17-19th! REGISTRATION Registration is now open! The cost is $25.00 from now until April 10. The cost will increase to $35.00 from April 11 – 16. On –site registration during the convention will be $45.00. So save some money and REGISTER TODAY! Fellow Kentucky Young Democrats, We are gearing up for the 2015 KYD State Convention. Below is some information so you can begin planning to attend. Please stay tuned for more information as it becomes available.